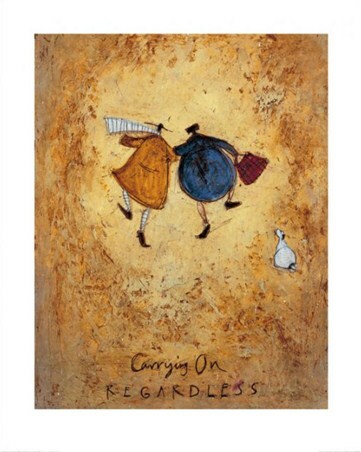 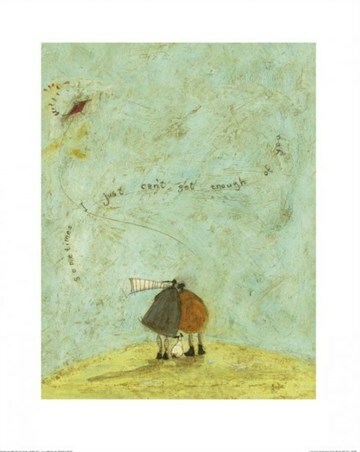 Art Print: The British artist Sam Toft has tried many different vocations in her life, from fire extinguisher sales person, to au pair, and thankfully has stuck with the one she has most talent in - painting. Her incredibly delightful pieces are sure to bring a smile to anybody's face, with her characteristic alomst cartoon style of drawing. 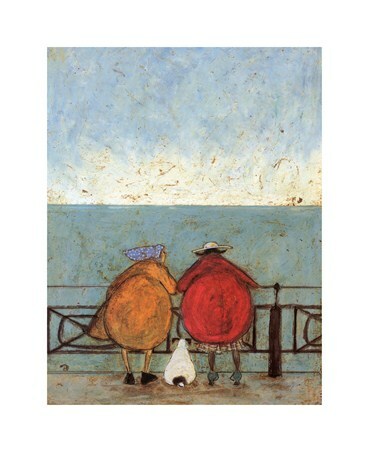 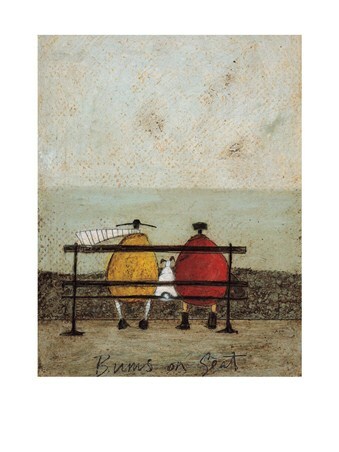 This one, titled 'Bums on Seat' sees the popular Mr Mustard and his wife Violet sitting on a bench, gazing out to sea on a blustery day, with their dog Doris squeezed in the middle. 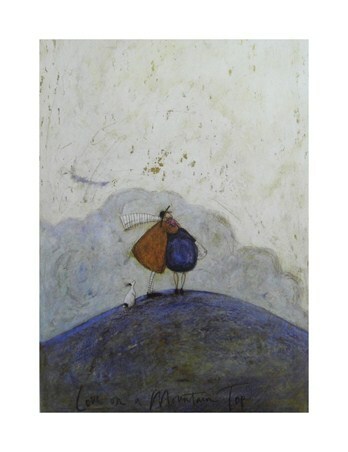 A charming art print for anyone who loves Sam Toft's wonderful artwork or who can relate being outside on a cold, blustery day near the seaside! 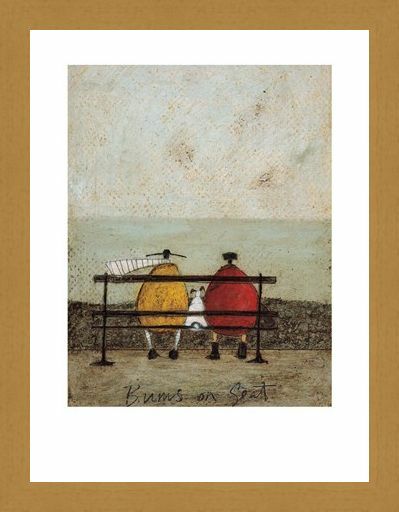 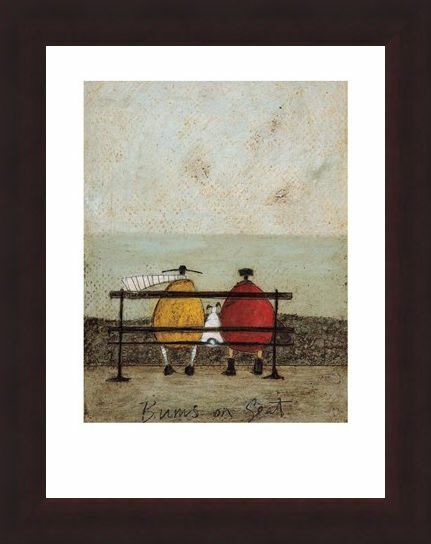 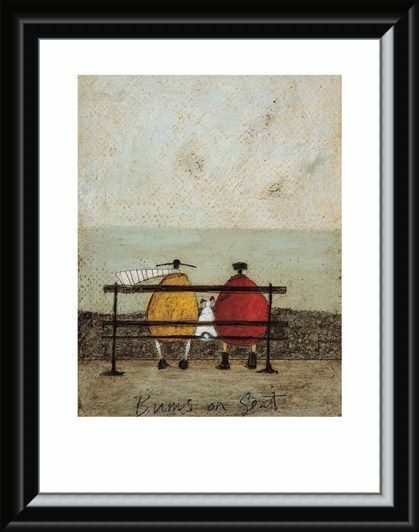 High quality, framed Bums on Seat, Sam Toft print with a bespoke frame by our custom framing service.